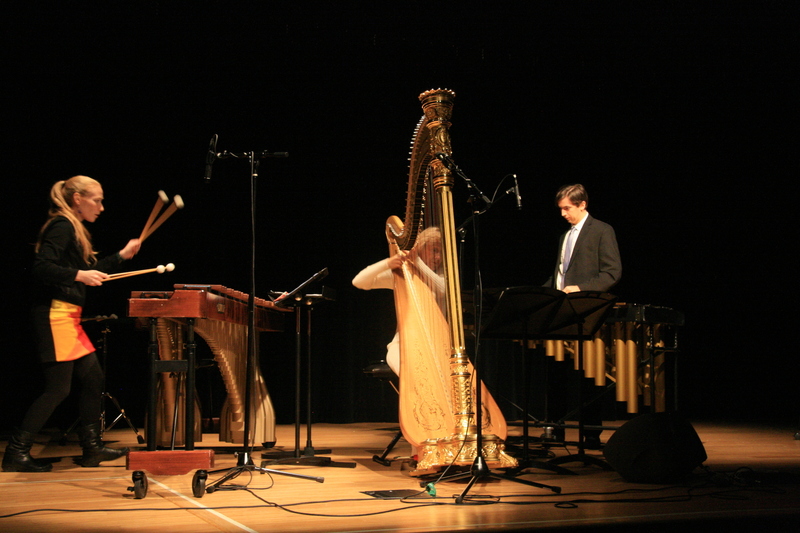 In April Goldstream Variations was performed by members of the New World Symphony, together over the Internet with IUPUI’s Telematic Collective. 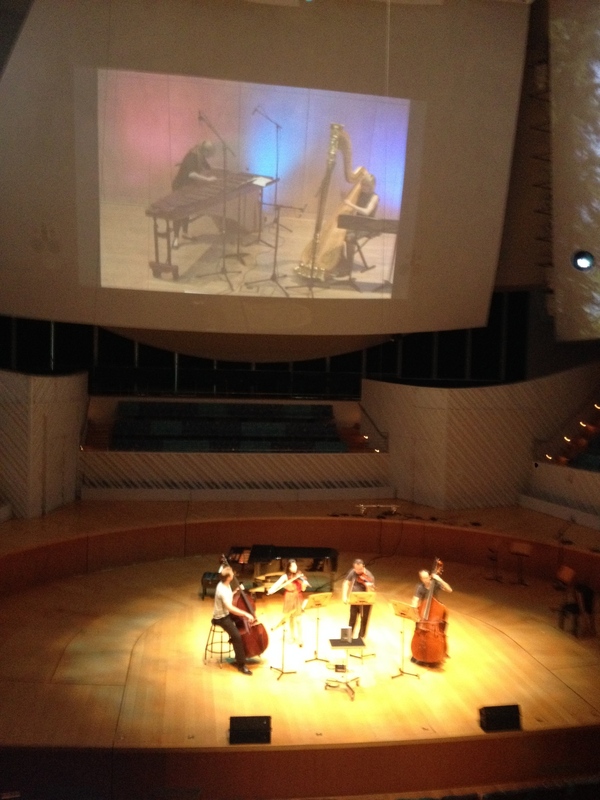 The performance consisted of a quartet of NWS musicians performing at the New World Hall in Miami Beach, together with performers from IUPUI, coordinated by Telematic Collective graduate fellows Matt Vice, Mayowa Tomori, and Danny Hughes. 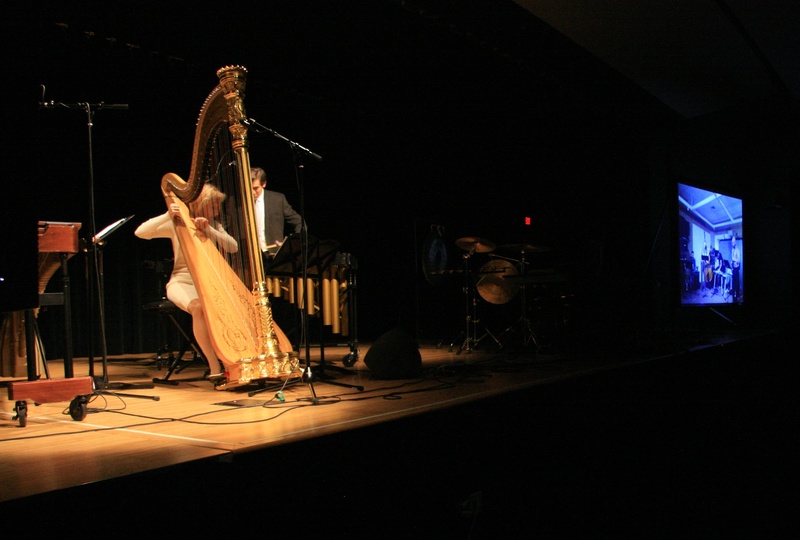 Musicians in Indianapolis were percussionist Bonnie Whiting and harpist Erzsébet Gaál-Rinne. The 11-minute work was performed before a full house in Miami Beach and received an enthusiastic ovation. The concert was part of the 2014 Internet2-New World Symphony Performance and Masterclass Workshop. I recently served as host and director for the Percussive Arts Society International Convention Technology Day, which was held at IUPUI. The day was filled with clinics, computer lab sessions, and concerts with presenters and performers from the Americas, Europe and Asia. It was a real labor of love as it combined my two favorite subjects, percussion and technology in a wonderful display of innovation and great music. To learn more about the event and the participants, please visit the Tavel Center website. Pictured above are from left, Erzsébet Gaál-Rinne, Greg Jukes, and on the screen the University of Michigan Electro-Acoustic Ensemble performing my telematic work Goldstream Variations. I recently returned from Perth, Australia, where I was attending the International Computer Music Conference. I was particularly thrilled by the performance of my work Goldstream Variations by fabulous Decibel Ensemble. The work highlighted pianist Stuart James performing with a machine learning algorithm developed by my colleague Ben Smith. I also presented a paper co-authored by one of our graduate students, Javier Omar Sanchez and myself on the use and application of the software patch. The paper is available in the writings section of this website. The Rush of the Brook Stills the Mind is an electro-acoustic percussion solo composed for me by Elainie Lillios. Elainie and I had been discussing a collaboration since 2011, and we began working on The Rush in earnest in early 2013. In May, with Elainie’s new score in hand, from a studio in Fairbanks Alaska, I recorded a large sampling of percussion sounds from which she designed and built the interactive electronic part to the work. 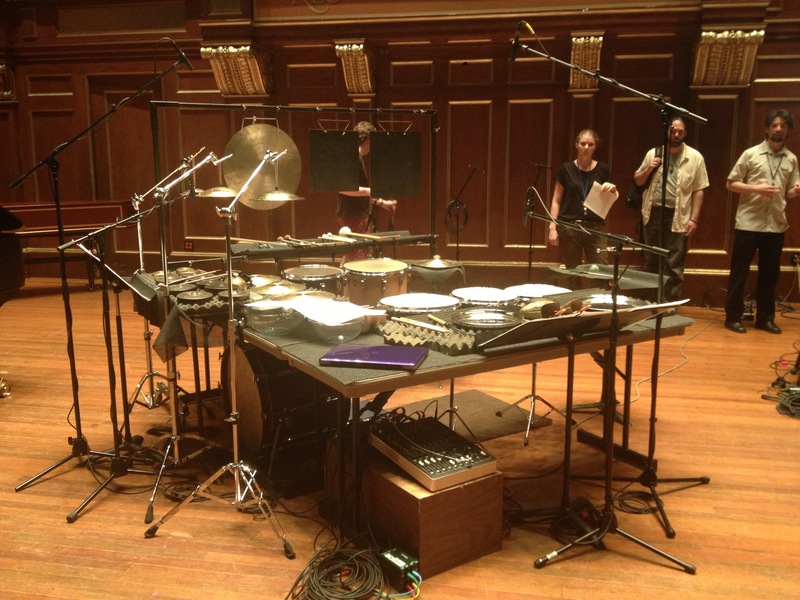 I performed the world premiere at the 2013 nief-norf Research Summit in June, and a subsequent performance at Sick Puppy (SiCPP) in Boston later that month. The composition is inspired by a poem by Wally Swiss of the same title. The program notes written by Elainie and the full text of the poem follow. 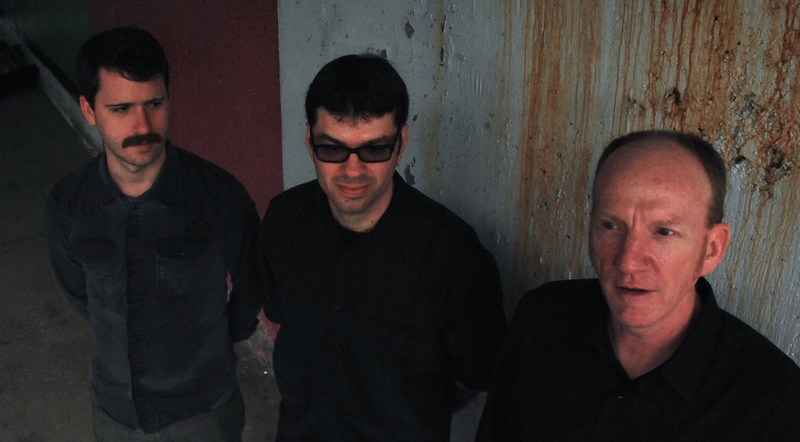 You are currently browsing entries tagged with Telematic Collective at Scott Deal.